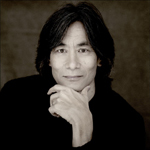 From the very first bars of this wonderfully crafted disc it’s abundantly evident that Kent Nagano has a special understanding and affinity for Unsuk Chin’s music. There is a compelling flow that delights the ear (the recording team led by Carl Talbot has done an outstanding job in capturing the wide-ranging sonic soundscapes) and warms the heart. No serious collector can do without this recording. Rocaná is a delectable showpiece for orchestra and composer alike. It most certainly examines the full spectrum of light and floods the mind with raw power, heavenly dreams and earthy fear. Clearly, these hues are generated by human experience—there are several moments where the notion of breathing can be heard and felt even as startling punctuation keeps listeners on the edge of their seats. There is also orchestrated silence, notably the high-string chord progressions that pay brief homage to Charles Ives’ Unanswered Question before dreamy chimes are interrupted by sudden shock and pain as well as tribal drums that are an exacting test of any sound system. After a period of consonant contemplation, the near-perfect ensemble looks skyward for refractions of a different sort. A sudden slide back to Earth leads immediately into a section of slow-motion devotion surrounded and clamoured at by petulant naysayers. Pierre-Vincent Plante’s English horn contributions add much to the mix above a dank pedal only to have several scary snaps morph the atmosphere into one of parched air. A full-blown crescendo awakens the Prince of Darkness, scattering the masses everywhere until Mark Romatz’s masterfully controlled contrabassoon, much drum, “resiny” basses and muted brass signal the beginning of the end. After a few frantic chords and much scurrying about, the hall is awash in one last shower of memorable light. 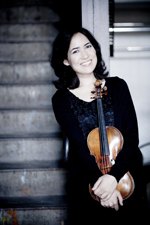 Viviane Hagner’s performance of the Violin Concerto is impassioned, engaging and a marvel of colour. Her ability to navigate the many harmonics with accuracy and compelling “whistle” is an early pleasure in the opening movement. Chin’s highly dramatic content provides an array of personalities, letting the soloist tune, tantalize then tame the orchestra in a progressively complex journey that concludes with the truly “seul” violin ringing into silence. The composer has the welcome skill of being able to see the road ahead and not block the musical impetus by staying too long in any one place along the way. With minimalist accompaniment, sudden jazz, jagged and full-cry outbursts, she never lets the writing slip into self-indulgence. The legacy from her compositional forbears slips nearly unnoticed into the journey with a tantalizing glimpse of Schönberg’s Violin Concerto in the “cadenza” and employing Mendelssohn’s arpeggiated vigour to lift everyone into heady exuberance. 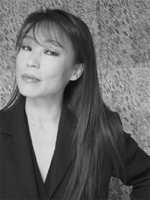 Hagner’s mastery of long, melodic lines is ideally demonstrated in “Movement II.” The music soars and is presented at a deceptively leisurely pace that never loses its direction thanks in large part to Nagano’s respectfully subdued accompaniment that is supportive and discreet when required only to burn with pain and intensity prior to the “escape” back to the magical stratosphere (most effectively “bridged” in the solo line, adding yet another moment of subtlety to the remarkable return that unashamedly closes in consonance). The zesty, fleeting “Scherzo” is a Danse Macabre filled with wood (strings and percussion), pizzicato and spectacular slides. It blazes into consciousness before—surprising to some—disappearing into the night.